Today marked the largest single-day drop in the history of the Dow Jones Industrial Average in terms of index points. But that doesn’t mean it will necessarily have a lasting impact, experts told ABC News. Mark Zandi, the chief economist for Moody’s Analytics, dismissed the drop as relatively temporary, saying that unless it holds for multiple weeks, it likely won’t make much of an impact. “It feels like a typical, garden-variety correction. 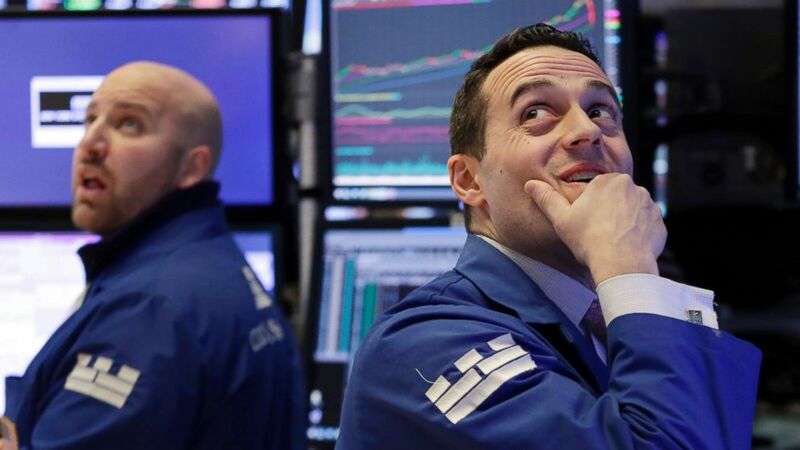 The stock market has come a long way in a very short period of time and even with the declines over the last week, we’re back to the same place we were at the beginning of the year,” Zandi told ABC News. “We’re still up 20 percent or so from where we were a year ago so for an average American worker, small shop owner, no big deal. This is not going to affect them in any meaningful way,” Zandi said. The 1,175.14 drop on the Dow is the biggest point drop in one day. The next runner-up was on Sept. 29, 2008, when the Dow dropped 777.68 points. After that, it was the Oct. 15, 2008, with a drop of 733.08 points. “For the average investor, this might be a signal that the easy money is over,” Zandi said. “It’s been pretty much straight up since 2009, since the recession, and I think it’s going to be much more difficult to make big gains in the market going forward, and the fundamental reason why is because the economy is at full employment. Wage and price pressures are starting to develop and interest rates are starting to rise and the deficit finance tax cut means that the Treasury will have to borrow a lot more money and that means higher interest rates,” he said. When looking at drops based on the percentage of the market, however, today’s dip doesn’t even make the top 10. In fact, a Dow Jones spokesperson told ABC News that today’s performance marks the 100th worst single-day drop at 4.6 percent. The worst came on so-called Black Monday, Oct. 19, 1987, when the drop represented 22.61 percent of the market. “You have the fastest rate of growth in the economy that we’ve seen in a decade and you also have a fast rate of wage growth. This should be good news for Main Street, it should be good news for investors, it should be good news for consumers, and they have certainly embraced that. He said that the economy had been seeing “the fastest rate of growth in the economy that we’ve seen in a decade” in addition to a fast rate of wage growth. “We’ve seen that optimism in small businesses, we’ve seen that optimism with investors and consumers — maybe too much so. And a little bit too far, too fast, so here the stock market is giving back some of those gains,” Glazer said. January 15, 2019 Comments Off on What if You Could Literally Talk to The New York Times?